Sean Anderson, p.k.a. 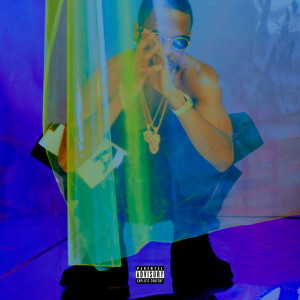 Big Sean, is the newest artist signed to G.O.O.D. Music/Island Def Jam at the young age of 20. Sean was born in Santa Monica, CA and relocated to the west side of Detroit, MI when he was 2 months old. He was raised by his mother and grandparents who worked steadfastly to instill in him the principles of hard work and determination. Sean attended the Detroit Waldorf School, a school of art, from Kindergarten to 8th Grade where he was introduced to a spectrum of art and culture. He later attended Cass Technical High School where he furthered his music career, met life long friends, and gained the support of fans and peers as he independently sold copies of his music. Sean gained a strong relationship with 102.7FM, a local radio station in Detroit where he displayed his rhyming skills weekly. There, he met Kanye West after a radio interview in 2005 and got a chance to display his talent by freestyling for Mr. West, giving him a copy of his music and sending numerous tracks for him to critique. After months of submitting songs and numerous meetings, Sean finally got the call from Kanye West himself saying that he wanted to sign him. Big Sean officially signed to G.O.O.D. Music in 2007 and then signed to Island Def Jam in 2008. Sean has two mixtapes under his belt starting with “Finally Famous–The Mixtape” [Nov. 2007] and “U Know Big Sean–Finally Famous Vol. 2” [Nov. 2008]. His hit single “Getcha Some” vastly took over the airwaves and created major buzz for the artist and quickly solidified him as a breakout star. The single first debuted on Kanye West’s “Cant Tell Me Nothin’ Mixtape” giving him the exposure needed to showcase and introduce his talent to the world. Big Sean is scheduled to release his debut album entitled “Finally Famous” in Spring 2009. The album features Hip Hop stars such as ten-time Grammy Award winning artist Kanye West, Pharell, The Dream, and many more. Big Sean has been spotted beside Kanye West all over the world including Los Angeles, New York, Hong Kong, Tokyo, Hawaii, etc.